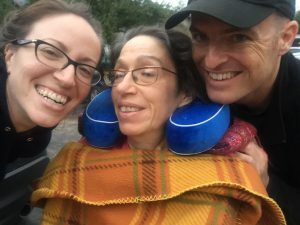 In Mom’s time as a patient who required special medical equipment (from hospital beds to cough assists, wheelchairs, and yankaeurs), we learned many a lesson about working with medical equipment companies. My brother even works for a medical equipment company, so we are generally not biased in favor or against. I will say in our personal experience, however, that medical equipment companies are one of the most challenging behemoths you’ll come up against as a caregiver. It’s important to understand that not every medical equipment company is created equal. They compete in a bidding-type market and some companies win the rights to sell certain equipment in your area, depending on your health insurance. When it came to Medicare, it was almost sad to see what the bidding market had created where we lived. Since only one company could service certain Medicare-covered equipment, patients were left with little choice and little power. For some things like Mom’s hospital bed, we were pleasantly surprised by the promptness of the company contacting us and delivering the bed as well as by their customer service. For the cough assist and yankaeur we acquired with a different company, however, I must have made 20 phone calls just trying to get the right orders sent over, track down a delivery date, and follow-up. I went through very bad customer service with both Mom’s pulmonologist as well as the medical equipment company. It caused more stress and headaches than not having the equipment at all! Get a doctor’s order – this is the number one thing you have to do in order for health insurance to consider covering your loved one’s medical equipment. The doctor essentially writes a prescription for the equipment or refers you to a specialist who can. Sometimes additional paperwork is required (like when you get a wheelchair), so the timeline can be lengthy (weeks to months). Look up company reviews online – it’s easy to find reviews of medical equipment companies online simply by googling their name. While it’s well-known that the least satisfied customers are the loudest, there is still some value in reading reviews online. If one company has notoriously bad customer service, you might want to save yourself the hassle and ask your doctor to send the order to a different company. If you are stuck with just one company in your area that fulfills the equipment your loved one needs, reading the reviews will help you better understand where some challenges may lie so you can circumvent them as much as possible. If you are reading over and over that the customer service is horrible, the billing experience is bad, and that repairs are extremely hard to come by, you may want to consider avoiding working with that company at all and simply purchasing equipment (new or used) out of pocket. Clarify, clarify, clarify – the typical experience when the process for fulfilling medical equipment is initiated is that the order goes from your doctor to a company and then that company reaches out to you to discuss timeline, setup, etc. Like with most communication you have as a caregiver, it will always be in your best interest to triple-check that everyone is on the same page. If your doctor’s office says the medical equipment company will be reaching out to you within a couple weeks, get the company’s name and number and call them to make sure they have received the order. If the company calls to say that they will call back to schedule delivery, get the name of the person you spoke with and write down the date so you can reference that call in case you don’t hear from them again in the timeline they gave you and you need to call them back. Clarify specifically what equipment is that you are expecting to receive, and ask all the questions you can about billing. 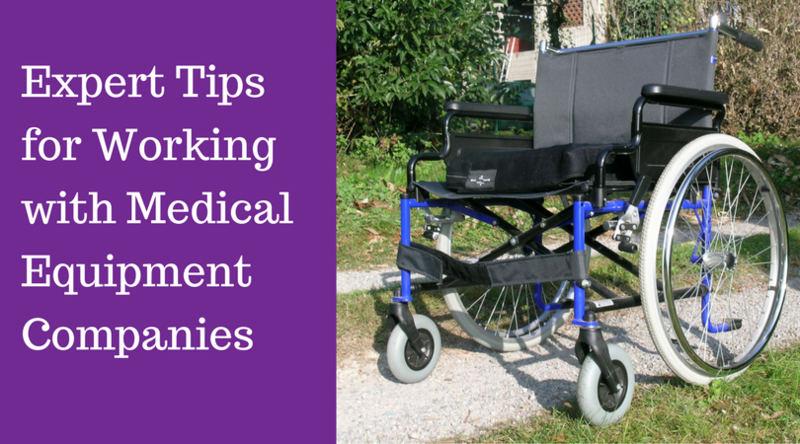 A lot of medical equipment is rented to you or you lease to own it. Insurance covers some or all of it, and then you may have an additional monthly copayment. After a year, you may own the equipment outright or you might only be able to rent it until it is no longer needed. Recently, we received an invoice for medical equipment service from A YEAR AGO. It was the same company we had been paying monthly and I thought we had finished our last installment after Mom passed away, but nope. In Feb. 2018 in the mail we got a bill for Jan. 2017 service that Medicare had JUST finalized. I called to clarify and worked out the details and paid it accordingly, but just goes to show. My sister wants to start her own medical practice, and I suggested she look into some places she can get durable medical equipment. Your article had great tips for getting this equipment, and I liked how you said to look up potential companies online to get a feel for their customer satisfaction. Thanks for the help; I’ll share this with my sister so she can get the best medical equipment for her future practice. My grandmother is no longer able to walk, so she needs to get a wheelchair and other medical equipment. It was helpful when you mentioned that she should look for a medical equipment company that has easy to come by repairs, as even the most durable equipment an have issues. These tips will help my grandmother get some great medical equipment and service, so thanks for sharing this.